A new bar called Barrel Proof is opening on Mission Street between 19th and 20th streets, in the former site of Cease & Desist. Last May, Cease & Desist’s owners (also the owners of Tonic Nightlife Group bar empire, which includes Dr. Teeth) sold the bar to David Zimmerman, the owner of Cabin on Polk Street and the Blackthorn Tavern in the Inner Sunset. “We don’t know yet,” he said. Join Mission District artists, activists, performers, musicians and other members of its creative community during their march through the Mission in protest of the Trump Administration and its values. The self-proclaimed “sister event” of the Women’s March is a safe and family-friendly event, organizers say. The march begins at 12 p.m. on Sunday, Jan. 21 at 1295 Alabama St. Afterward, drop in at the Pacific Felt Factory arts complex at 2830 20th St. to check out a pop-up reception and art show that features artists Amy Kisch, Danielle Smith and Kimberly Verde. March on the Mission should not be confused with March for the Mission, which takes place this coming Thursday and is aimed at protesting the high-end restaurants, luxury development and red lanes that everyone loves to hate. The march begins at 20th and Mission at 12 p.m. on Thursday, Jan. 25. 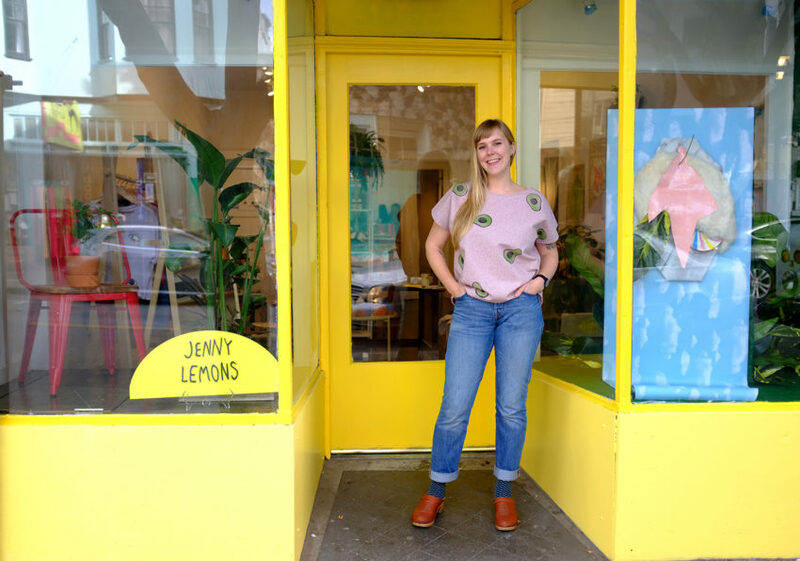 “Jenny Lemons is very focused on building a community space that supports artists, giving them a place to sell their work and the opportunity to teach workshops in their area of expertise,” the company said in a statement. The grand opening will take place Feb. 1, from 6 to 9 p.m. at 3043 24th St.
Hey, Julian – I love the red lanes. I’m 77 years old, car-free, and any bus takes me from my stop at 30th Street to my work at 20th in just a few minutes. My fellow riders are predominantly people of color, off to their jobs, or taking children to childcare. Que vivan los caminos rojas! I am one of those that takes the 14 regularly and have done so for the last 20 years. The red lanes shave about 5 minutes off the ride but are destroying businesses along that corridor. Absolutely not worth it. Also those restricted buses are fine if you are able bodied but difficult for the disabled and seniors who are further along than you are. Que me perdones…. caminos rojos!